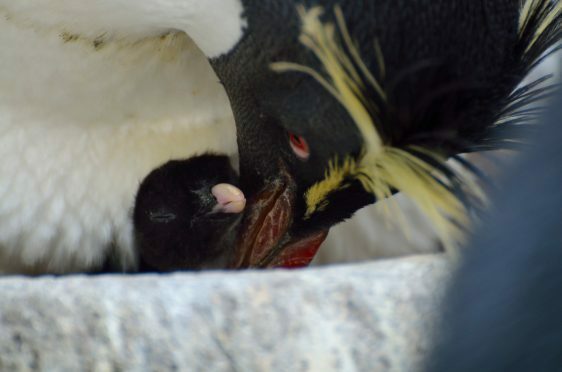 The endangered northern rockhopper penguin was snapped by zoo workers cosying up to its family. 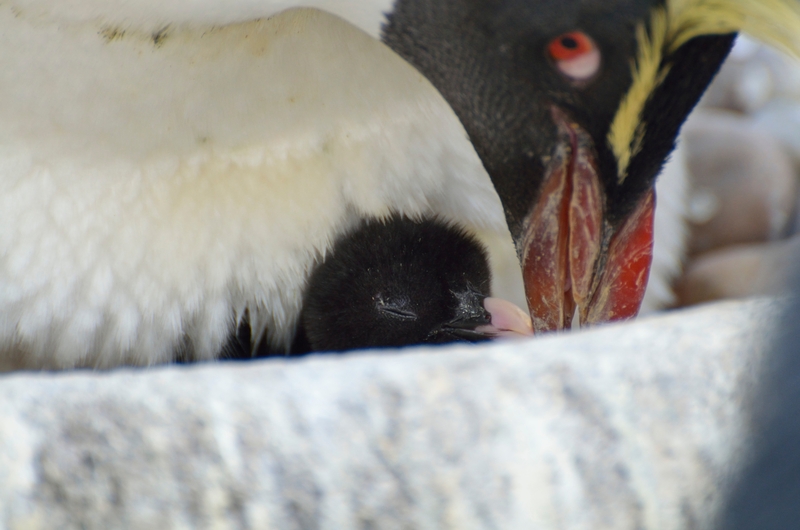 The adorable chick was born just over a week ago on World Penguin Day to mum Brucetta and dad Al. It is the first rockhopper to be born at Edinburgh Zoo for more than eight years and is the first to be born in the UK this year. 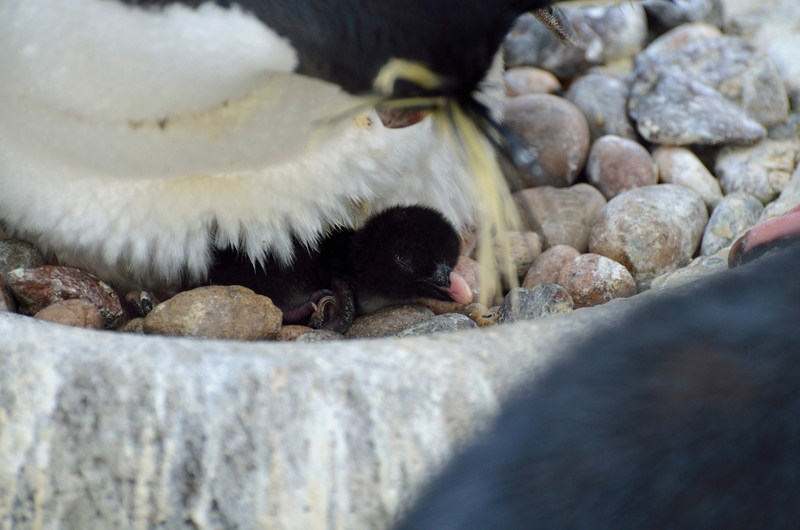 Dawn Nicoll, Senior Penguin Keeper at Edinburgh Zoo was delighted to welcome the chick to the existing colony. She said: “We are so pleased to welcome an endangered rockhopper penguin chick to our colony at Penguins Rock, the first rockhopper to be born at the Zoo for eight years. “The chick couldn’t have hatched on a better date, as World Penguin Day is a great opportunity to highlight the plight of these amazing birds. Northern rockhoppers are listed as endangered on the International Union for Conservation of Nature red list with the majority of them found on the Tristan da Cunha island group in the South Atlantic. The Royal Zoological Society of Scotland, which owns Edinburgh Zoo, is trying to tackle the species’ decline in the wild particularly in remote islands in the South Atlantic Ocean. Populations of northern rockhoppers have declined by as much as 90 per cent. The rockhopper chick joins the colony at Penguins Rock, which also homes 87 gentoo, 20 northern rockhoppers and nine king penguins. Penguin breeding season at Edinburgh Zoo typically lasts from March to August, with further births expected over the coming weeks.